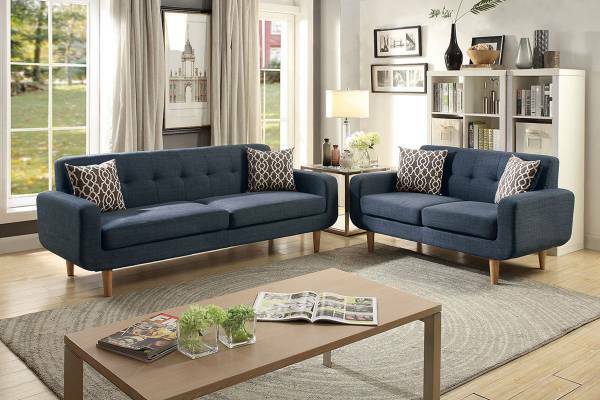 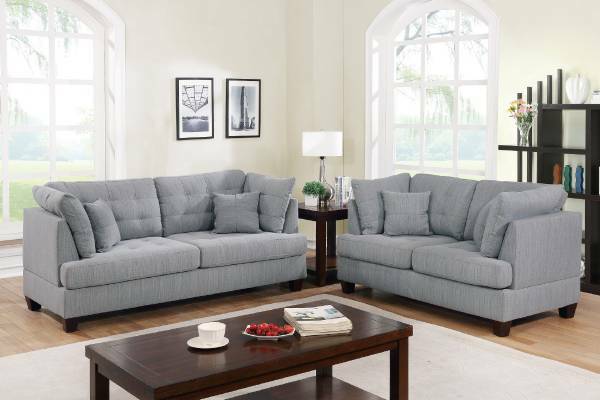 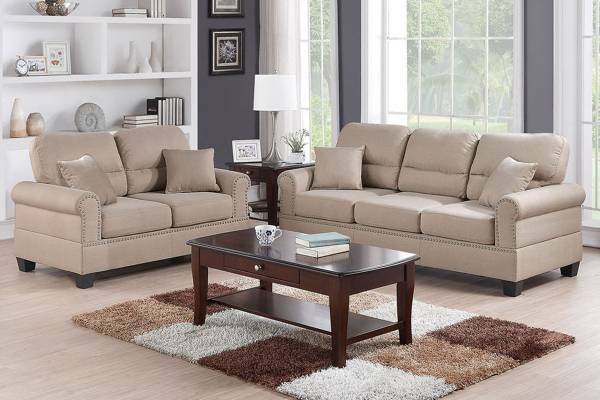 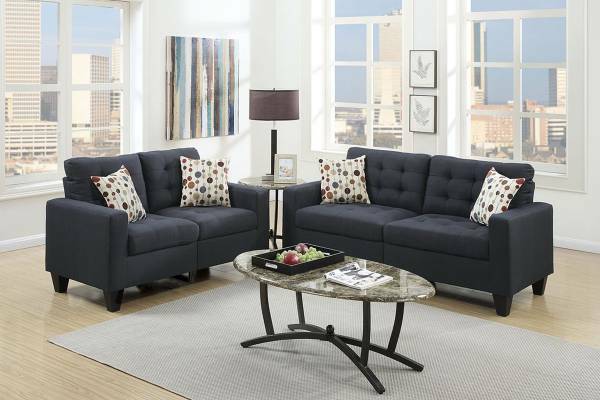 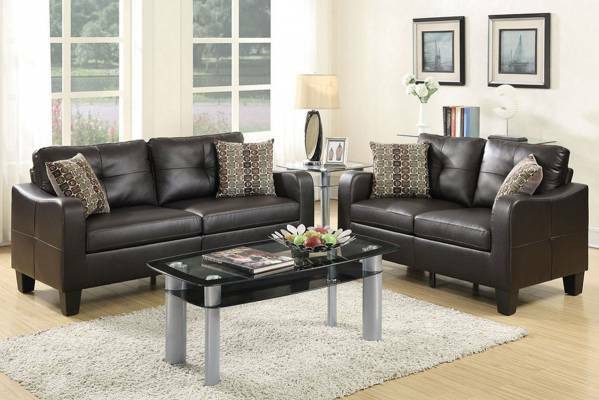 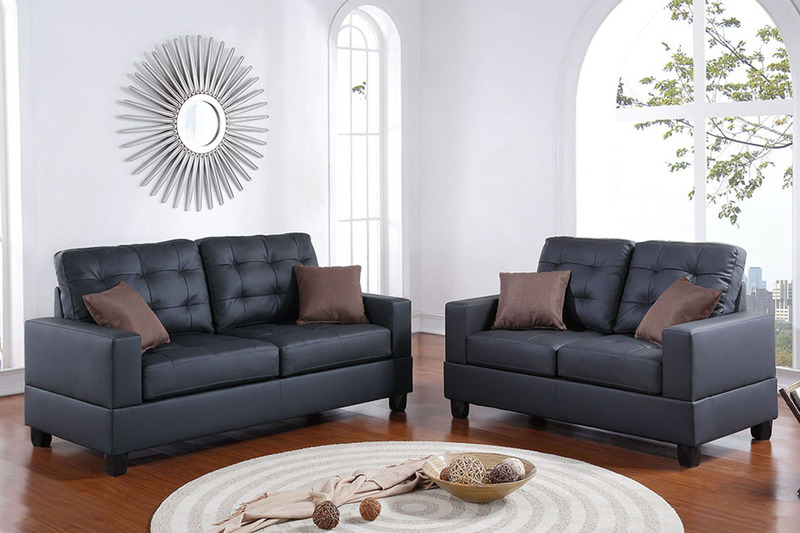 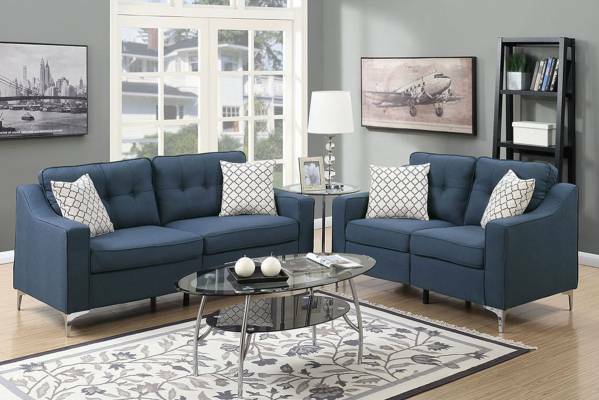 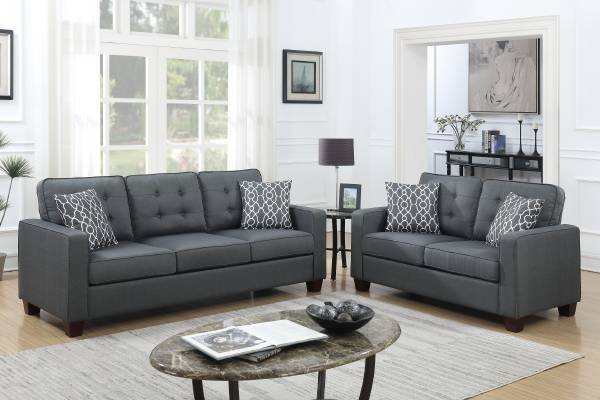 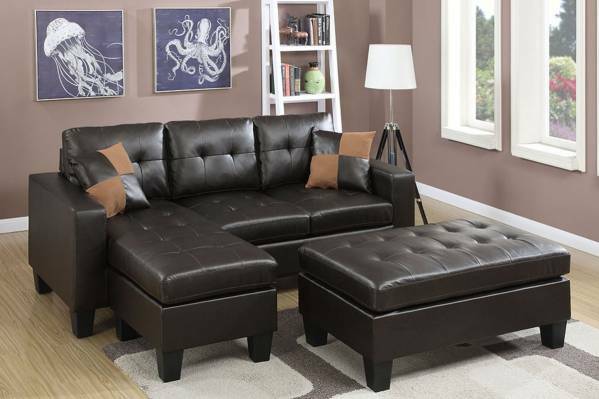 Believe in the possibilities of boldness with this 2-piece sofa set that includes a loveseat and a 2-seat sofa. 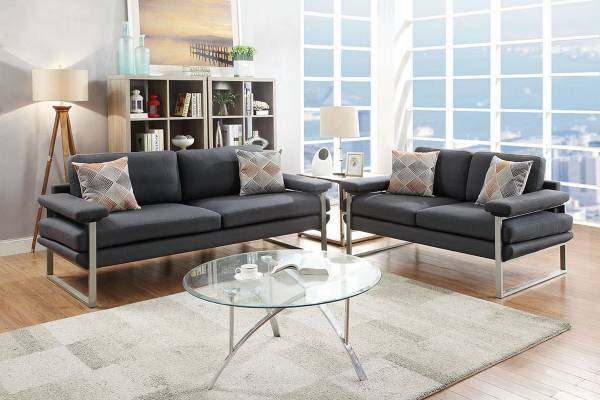 Plush cushion, accent tufting and light stitching define this amazing seating space great for the modernly designed home. 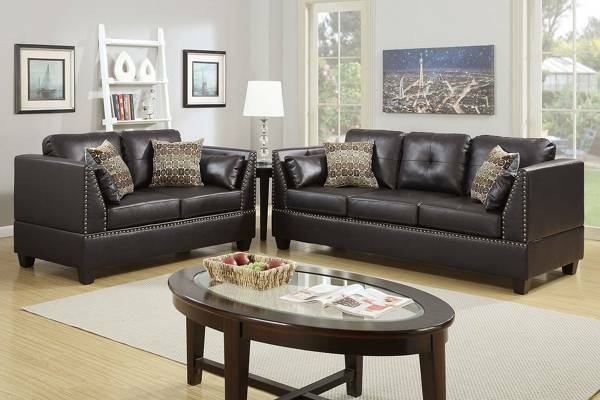 Available in faux leather black, beige and espresso, and grey (linen-like fabric).